FREE CARFAX on ALL CARS! Call John at 540-387-3160 / Toll Free 1-844-809-5789 All Cars Warranted! Call 540-387-3160 for a Free Carfax Report! Call us at 1-844-809-5789 for a FREE CAR FAX!! 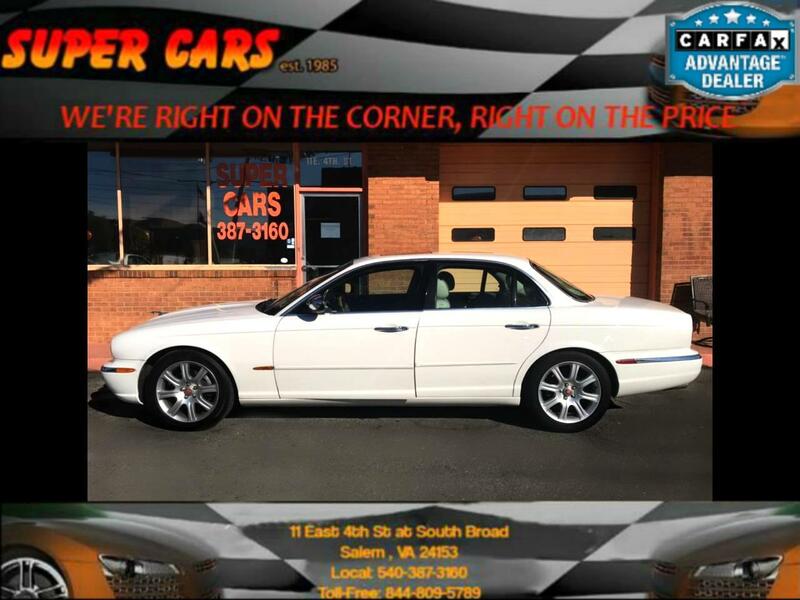 Here at SUPER CARS we ''Match the Right Car'' to the ''Right Driver'' Stop by Today...We're "Right on the Corner" & "Right on the Price"
Message: Thought you might be interested in this 2004 Jaguar XJ-Series.